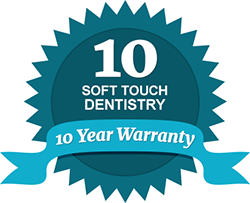 For comprehensive dental checkups and cleanings, you can turn to Soft Touch Dentistry. Dr. Sarah Thompson is an experienced, caring and gentle dentist who can treat your entire family with state-of-the-art dental care in a warm, relaxing environment. We make it a priority to help patients maintain optimal health when it comes to their teeth and gums. Not only does your oral health affect your quality of life, it has a major impact on your overall health. You can trust our dedicated team of professionals at Soft Touch Dentistry to provide excellent family dental care,including dental cleanings and checkups to prevent serious oral health problems such as gum disease, tooth decay, oral cancer and tooth loss. Our practice adopts the latest dental technology and eco-friendly measures to ensure your family receives the safe and effective dental care they deserve. Dr. Thompson uses a gentle and personalized approach when conducting comprehensive dental exams for her patients. Your dental exam at Soft Touch Dentistry can include a visual examination, electronic charting, ultra low exposure digital x-rays, intra-oral camera technology and periodontal probing for the most accurate diagnosis and treatment recommendation. Along with relaxing music, blankets and large screen TVS, our office also offers chair side patient education videos to keep you well informed and at ease during dental procedures. Dr. Thompson is also among the elite group of dentists who are licensed to perform IV Sedation dentistry. Whether you are getting a simple dental checkup or a complex restorative procedure, we work hard to make you feel comfortable and confident in your dental care. At Soft Touch Dentistry, we provide professional deep cleanings to keep your oral health at its best and prevent gum disease. A deep cleaning can effectively remove calculus (tartar) and stubborn plaque that may not be removed with at-home brushing and flossing. It can also polish teeth to remove stains and give your teeth the healthy shine you were meant to have. From bad breath and sensitive teeth to bleeding gums and more, Soft Touch Dentistry can help you with all of your dental concerns. To learn more about our family dentistry services or to schedule an appointment for a member of your family, please contact our office today. For your convenience, we accept most dental insurance carriers and offer flexible financing plans. We look forward to serving you with premier dental care in a comfortable and caring environment.